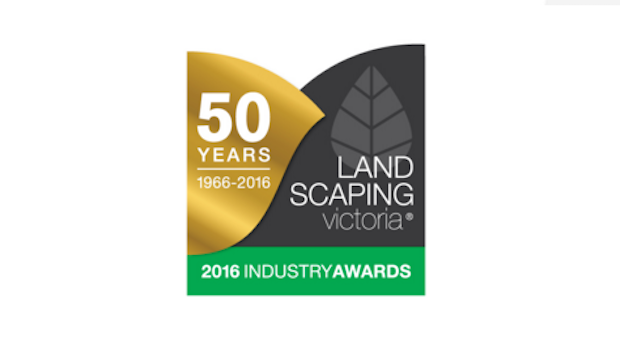 Entries are now open for the 2016 Landscaping Victoria Industry Awards. It is often the unseen results that make the pursuit of an Award truly worthwhile. Perhaps you have thought that the Awards aren’t for you, they’re a waste of time and effort or you simply don’t see the benefit. All that work and all you get is your name on a trophy? Wrong. The fact of the matter is winning a Landscaping Victoria Industry Award will undoubtedly have a long reaching positive impact on your business in a number of ways. Finding a landscaper or designer can be quite a daunting process. There are a lot of businesses out there claiming to offer well priced quality work, and sorting through the pack can seem like an almost impossible task for prospective clients. So, how do you set yourself apart? Promote yourself as an Award Winner and the decision for the client just got a whole lot easier! In such a competitive industry, standing out and differentiating yourself from your competitors is more important than ever. Set yourself apart as an Award winning company and let your achievements do the talking for you. The mind of the consumer is suggestible and something as simple as an Award win can be what leads the client to choose you over others. There is no greater marketing tool that an Award win. Stickers, banners, business cards, website promotion, social media coverage, magazine coverage, the list goes on. And, as the list goes on, so does the exposure of your business. When used correctly, this exposure will go on to attract more clients and open your business up to opportunities previously not available. If there’s one thing that drives business it’s word of mouth! And nothing gets people talking like Awards season. Commendations, Wins, Finalists, their names are all up on the big screen. Put yourself out there and spread your name around. You might find that future clients “read about you in that magazine” or “saw your picture on Instagram”. If you don’t put yourself out there to be found, then the client will not find you. Simple as that. You don’t have to win to gain exposure. Submitting an entry is the first step, and becoming a Finalist or receiving a commendation can be just as effective as taking out first place. Awards speak volumes about the hard work and dedication being put forward by your business and its employees. To have this recognised is a feeling second to none. Receiving an Award that acknowledges this hard work could be just the thing that your business needs to lift spirits, reignite passions and set yourselves on course for future success. Even being shortlisted can serve as a reminder that you are being placed at the forefront of the industry. It’s validation that you are indeed heading in the right direction and you should be proud of the work you and your team putting forward. Considering the benefits and the positive impact awards can have on your business and its employees, we cannot emphasise enough, the importance of making a submission into this year’s Landscaping Victoria Industry Awards. The first step is always the hardest! Make this year the year you take that step. All entries are $110 each (inc GST), and submissions close July 1, 2016. The survey itself has 3 sections, Design, Construction and Maintenance. If the nominated project is being entered into both a design and construction category for example, then both relevant sections should be completed by the client. Not applicable sections can be skipped. Ensure that you communicate with any other companies that may be submitting the same property/project for consideration, to ensure that client is only asked to complete the survey once. The survey aims to streamline judging, reduce client hassle and ensure Judges are not delayed in attempts to contact them. If you have any queries at all, please send an email to admin@landscapingvictoria.com.au or call the LV Office on 1300 365 428.